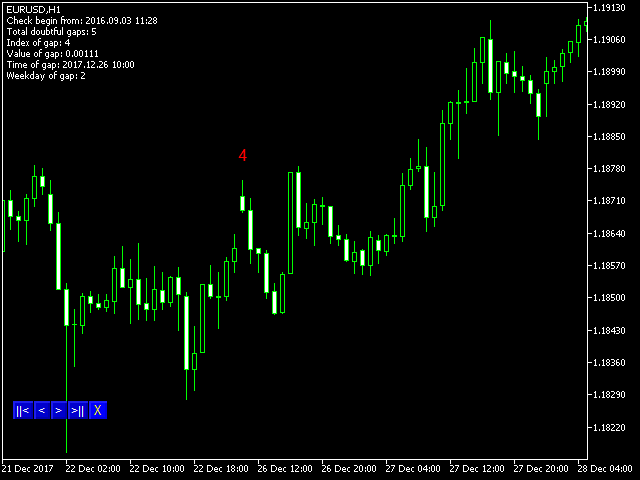 This product is used to check the foreign exchange market history datas. 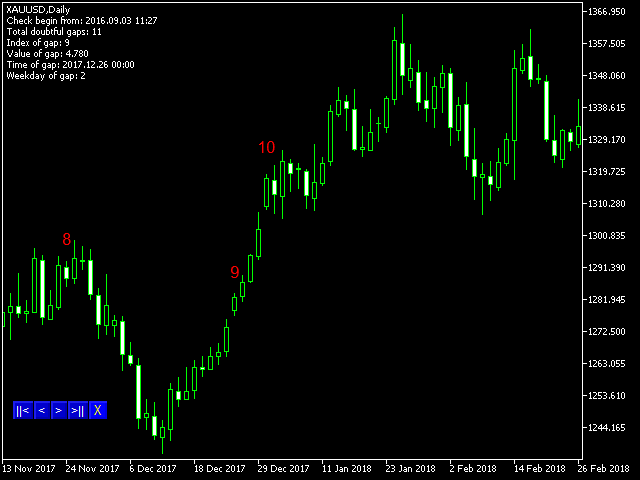 Good quality historical datas is important for traders to perform market analysis or back testing. But the quality of historical datas provided by various foreign exchange brokers is uneven. Sometimes we notice missing k-line sequences, but sometimes it is not easy to detect them. This product helps users locate these missing locations.If there are many gaps in a given period of time on a chart, you need to be careful about the reliability of historical data, perhaps considering a better ticker server. This product marks the gaps on the K-line with numbers and calculates the gaps size, as well as other relevant parameters.